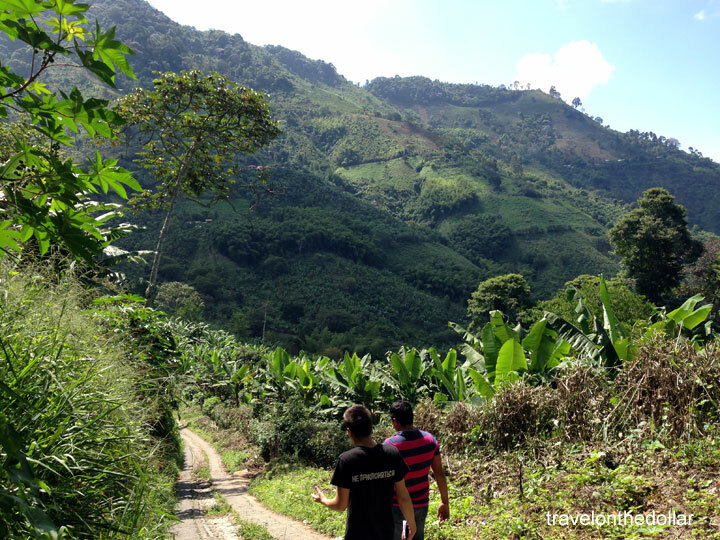 The first thing anyone would think of Colombia is the coffee. 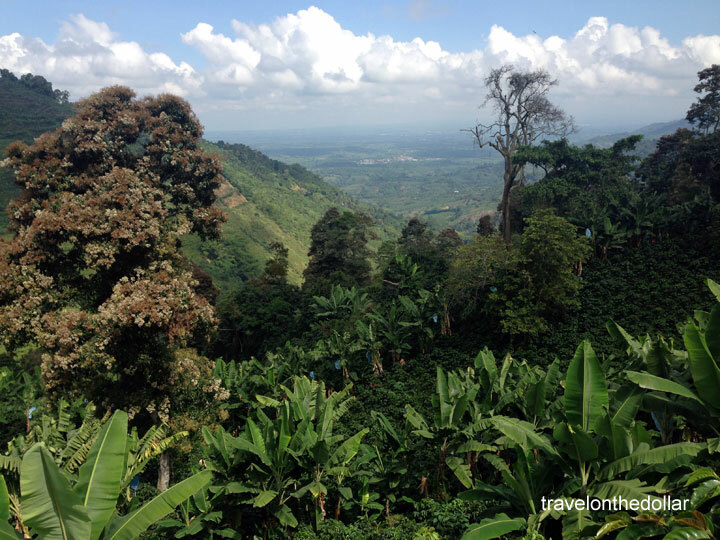 One of the largest exporters of coffee in the world, Colombia’s Eje Cafetero (Coffee Zone) is a highlight on any traveler’s list. 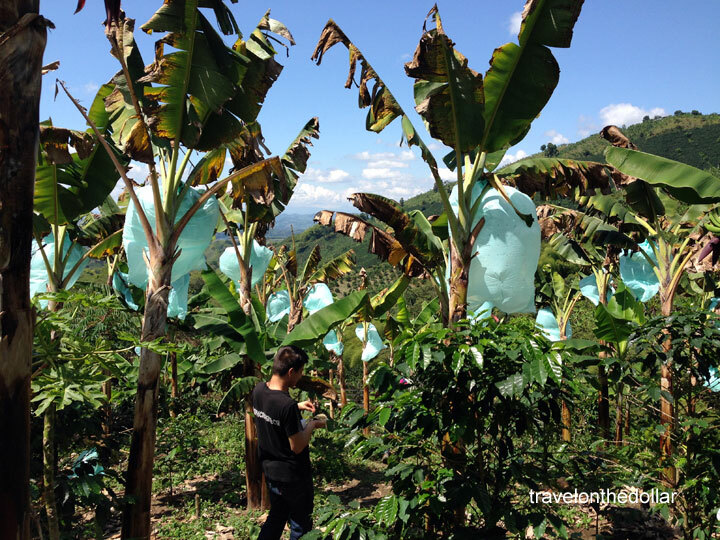 And although there are many operators and companies that offer tours to some of the towns or places in the coffee zone, we met Juan Agudelo in our hostel in Armenia, while a fellow backpacker was about to go on a tour with him to Salento and Valle de Cocora. 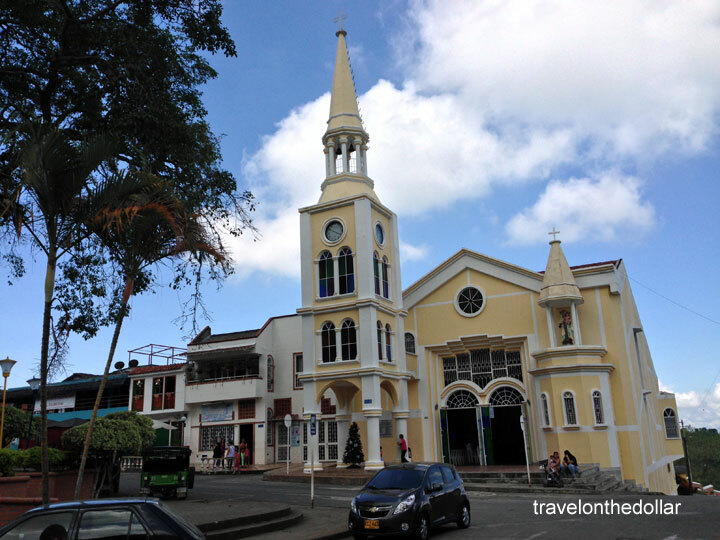 After a brief conversation with Juan, we found out that he has a company called ‘Experiencia Cafetera‘ that specializes in tours around the towns of Pijao and Buenavista, which are in the coffee zone. We immediately signed-up for a half-day tour to these towns, that costs COP 45,000 per person, which includes lunch and tour starting from Pijao. “Wakecup” is a brand under the company that they use to provide tours to Pijao and Buenavista. If you’re in Armenia, like we were, you can take a bus from the bus terminal to Pijao (costs COP 5,700 per person, 45-60 minutes). The bus will dropped us to the Plaza (central square), where we met Juan, who introduced us to his brother, Carlos, our official tour guide for the coffee zone. 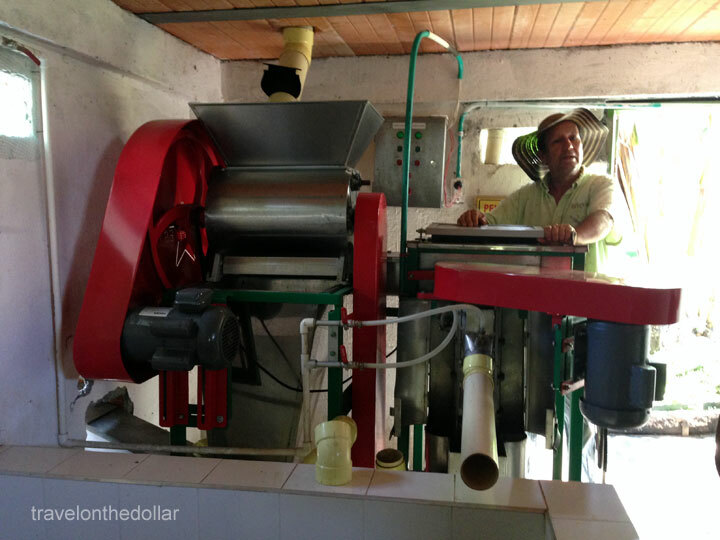 Both the brothers speak fluent English, which helped us have a conversation with the local farmers. 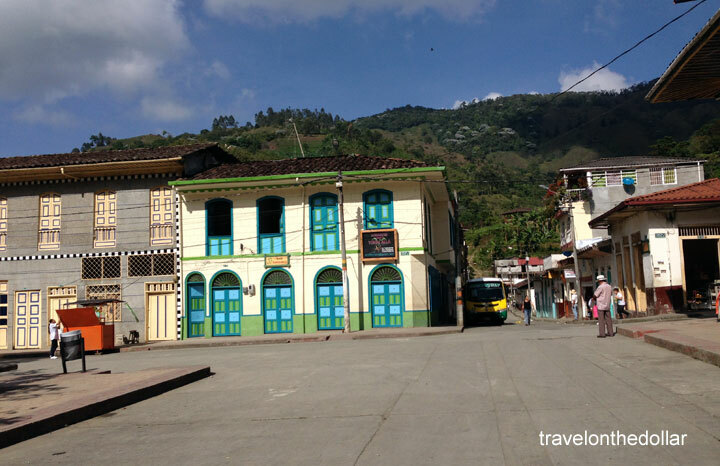 Starting off at Pijao, which is a small quaint town in central Quindio department (state). 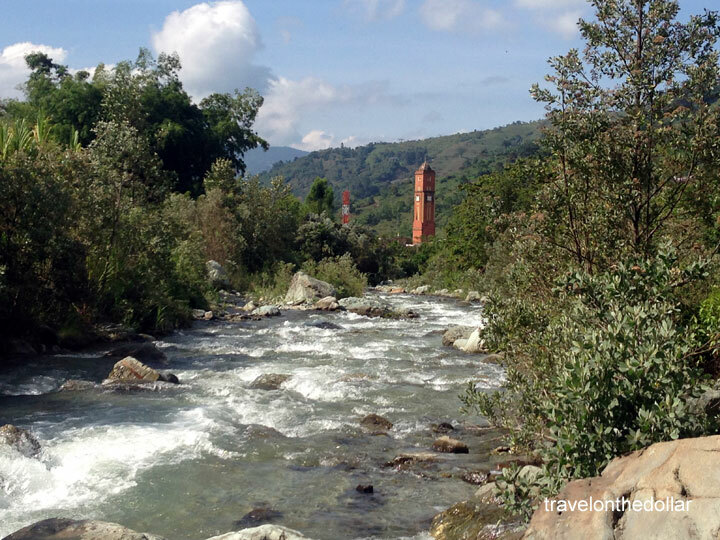 Surrounded by hills on all sides, we started our tour at the offices of Experiencia Cafetero in Pijao, and rode our bicycles to the Lejos river. Back in town after a quick ride, we met the agents who collect coffee from the farmers and send it to the Coffee Federation of Colombia. 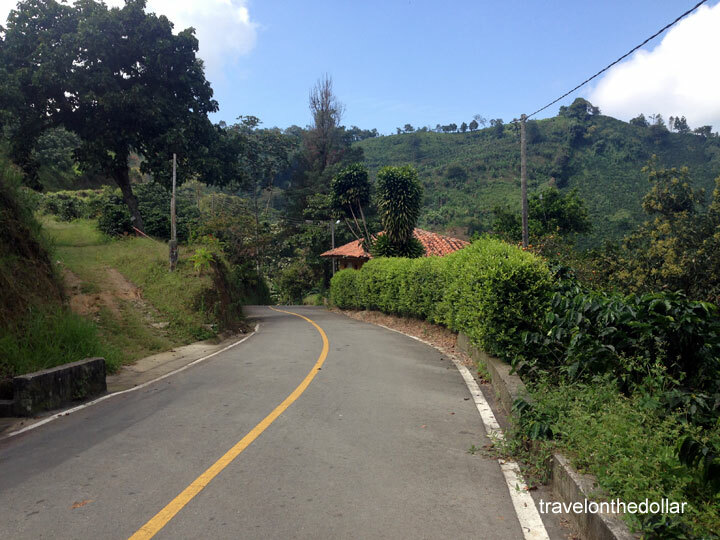 From Pijao, Juan drove up the hills that had coffee and plantain plantations on both sides of the road, and after about over an hour, we were in Buenavista. 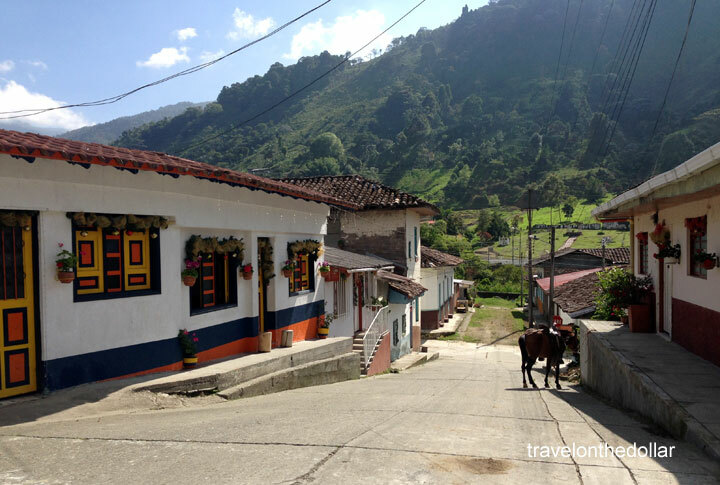 This small town in the mountains is known as the coffee town of Colombia. 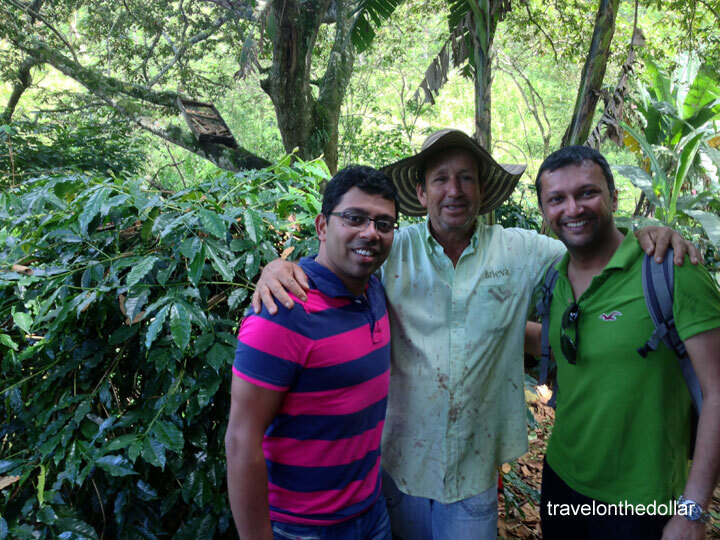 We met his brother, Carlos, who was going to be our guide to the coffee farm and meeting the local farmers. Of course, we had time for some coffee in the central plaza in front of the church! Along with Carlos, we walked down to the farm where we met Señor Leonel, the farmer who owned the coffee and plantain plantations around the area. He spoke softly and his Spanish was precise for an amateur to understand clearly (unlike the fast and slang the locals spoke). 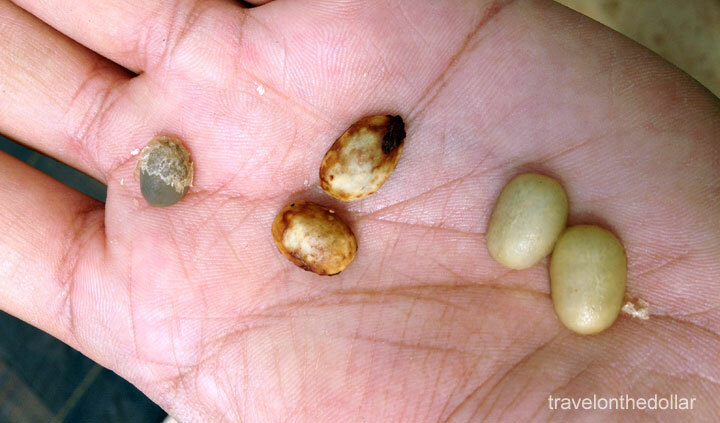 He showed us the original and organic coffee plants, along with what beans look the best and worst quality – the shape, size and whether the beans are bug free determine the quality. 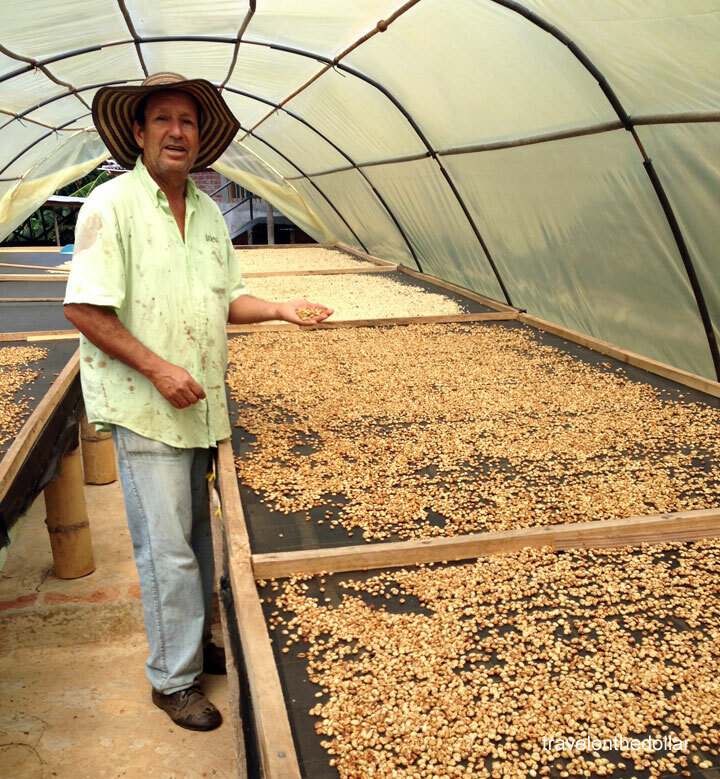 While there are markets for low and medium quality bean- coffee in Colombia, most of the high quality ones are exported to other countries. 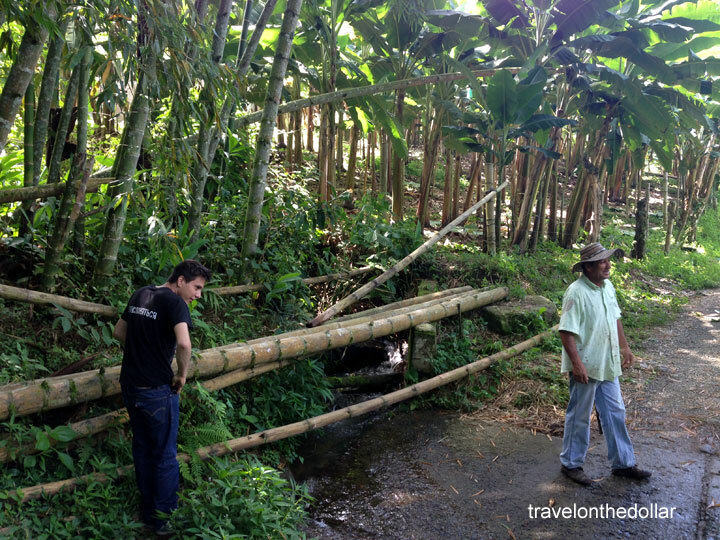 After a quick tour in the trees and farms, we were invited to Mr. Leonel’s home just a few meters walk along the path. He stayed there with his wife and two dogs. There was a small factory behind the main house where he processes the coffee beans before selling it to the merchant or the Federation. 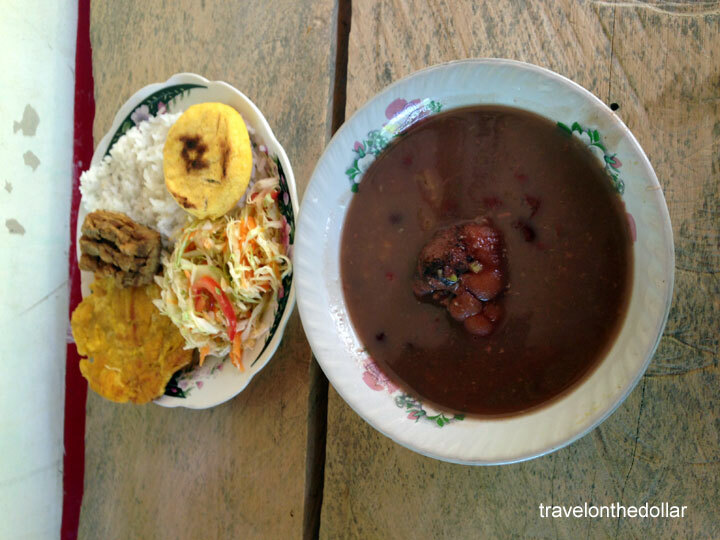 After the tour of the factory, we were invited to lunch prepared by his wife – bean and beef stew soup, salad, patacones, pork meat, arepa and rice. Unlimited Mango juice was included too! 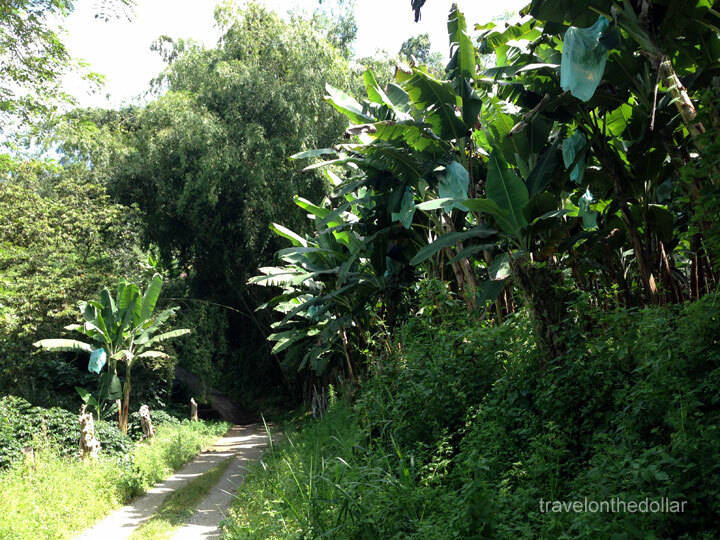 Lastly, we walked behind the house to the plantain tress, where Mr. Leonel plucked a fresh Guyabana fruit off the tree, sliced it and offered to us to eat, which was sweetly delicious! We drove in the back of Mr. Leonel’s pick up truck back to Buenavista’s central plaza, from where we took the bus back to Armenia. 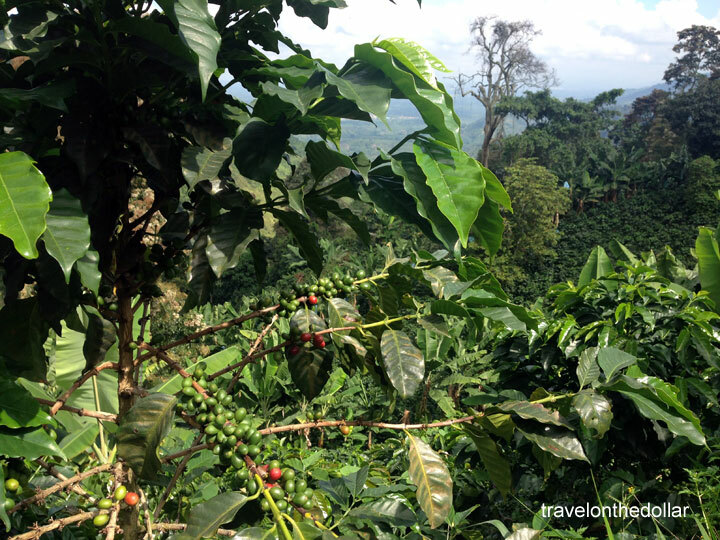 This was one of the best experiences we had in Colombia, which gave us the opportunity to meet the ‘source’ of the Colombian coffee, along with visiting a local Colombian family and sharing their home and food. The humbleness of Mr. Leonel and his family will be in our hearts forever.